Bomb It & Exit Through the Gift Shop: A Banksy Film were screened at the theater. 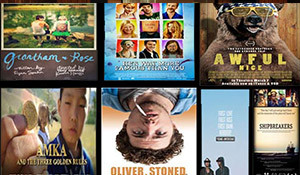 The festival was a 9 day event featuring 5 Feature Length Films and 1 Short Film, hand picked from the Cleveland International Film Festival (CIFF). 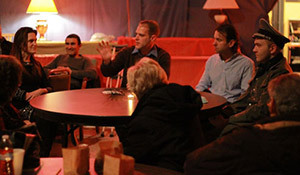 In addition, one Short Film from local filmmaker, Ralph Vitucio, called “Shipbreakers” was shown. Pittsburgh film buffs had a chance to see all 7 films over a 9 day stretch. 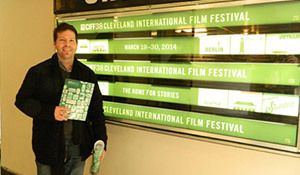 “Had a great time at the Cleveland International Film Festival. I took in 8 movies and 2 shorts programs. I am currently working on getting a handful of these films here at the Parkway Theater.” Aaron did in fact get some of the CIFF films setup to be shown at the theater. Check out the event details and also see the film schedule. 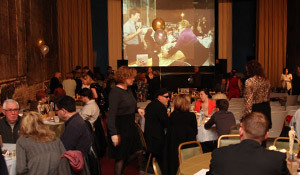 The Second Annual Pre-Oscar Night Fundraiser Gala at the Parkway Theater was on Saturday, March 1st at 7:00 PM. 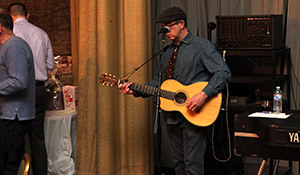 Last year’s inaugural event was a tremendous accomplishment; we entertained a sold-out crowd with live music, dinner, drinks, fun and engaging ways to celebrate the Academy Awards and all nominated motion pictures. 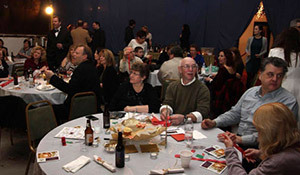 It was also our most successful fundraiser to-date. Kultur Shock! screening and Film discussion February 7th and 8th 2014. Two men and a woman wake up prisoners in a strange, windowless room with crippling injuries and no memory of who they are or how they got there. Together, they struggle to tune out a mysterious voice transmitted through a doll bent on brainwashing them, and piece together the startling truth of who they really are. Guests enjoyed walking the Red Carpet to help raise money for the Parkway Theater. They learned about our organization, what had taken place over the past year, and what our plans are for the upcoming years. Clips of all the nominated movies were shown while guests enjoyed good food and drink as they mingled with friends and met a few new ones. A special thanks goes out to all those who came out and supported us! This was Phase 2 of the Sprout Fund Seed Award we received. The clean up took place on Saturday November 10th, 2012, 1pm-4pm. 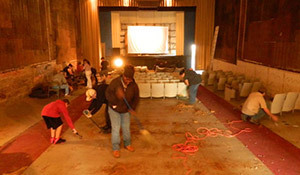 Our theme was “Help Bring Back Your Community Theater!” This time around we tore out most of the old theater seats and prepped them to be scraped. Many volunteers came out and got active in the Stowe Township community. Thanks again. This was Phase 1 of the Sprout Fund Seed Award we received. 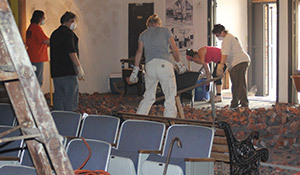 The clean up took place on May 5th, 2012. We tore out the brick wall, curtains, and wooden stage. Many volunteers came out and got active in the Stowe Township community.